Beginning Friday, February 1, join us after the show to dig into the themes of HYPE MAN through talkbacks after every performances. 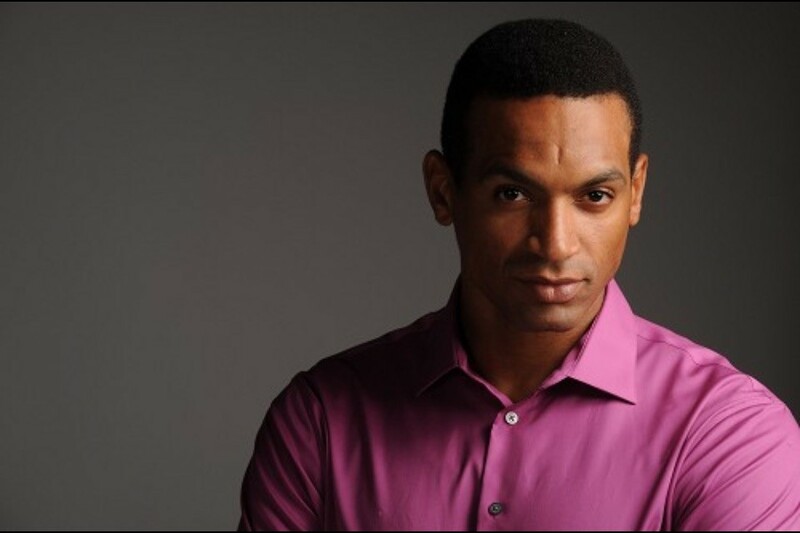 Join us after the 8 PM show for a Skype interview with playwright and break beat poet Idris Goodwin! Voss is the most unique, hardworking and versatile rapper you might not have heard of… yet. Hailing from the greater Philadelphia area, he’s often been called a “veteran in a rookie’s body” for good reason. With a witty, forward-thinking lyrical style, boundless charisma, an energetic, engaging live show and of course, an unbreakable work ethic, there’s no denying the young emcee’s talent and drive. He has shared the stage with such diverse acts as Macklemore & Ryan Lewis, Wale, Mac Miller, ?uestlove, Cam’ron, Ghostface Killah, Raekwon, Pusha T, El-P, Talib Kweli, Action Bronson, Peedi Crakk, Chris Webby, Young Gunz, Mac Lethal, Dom Kennedy, Cyhi the Prynce, Termanology, Astronautalis, Wax, and many more. 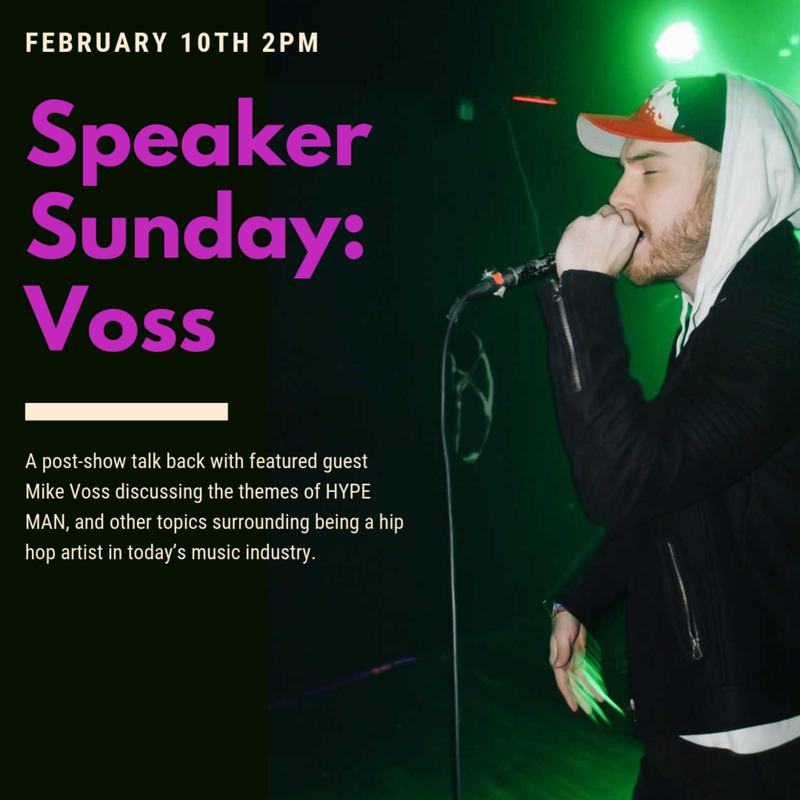 In addition, Voss is not afraid to apply his skills on the lyrical battlefield, as he is a BET 106 & Park Freestyle Friday hall of famer, racking up 5 wins in a row, as well as the first Philly Rhyme Calisthenics champion. Armed with honesty, raw talent and an unmatched tenacity to spread his words to all who will listen, anyone with an open heart and mind cannot help but support Voss. On Tuesday and Wednesday evenings, InterAct features informal discussions with the artists, complimentary coffee from our neighbors at Rival Bros., and tasty treats from our friends at Insomnia Cookies. Coffee Conversations during HYPE MAN will follow the 7 PM performances on Tuesday February 5, Wednesday February 6, Tuesday February 12 and Wednesday February 13. From 7-8 PM, meet artist William Wallace III, whose work is on display in the Arcadia Foundation Lobby during the run of HYPE MAN. William’s sculptural, salvaged, alchemic paintings provide a dynamic counterpoint to the themes of HYPE MAN. Grab a discounted drink and pick the artist’s brain before enjoying the 8 PM show! Sunday, February 10 - PARENTS’ DAY OUT! Get 3 & 1/2 hours of theatre-themed fun for your kids from Creative Caretakers, while you take in a matinee! 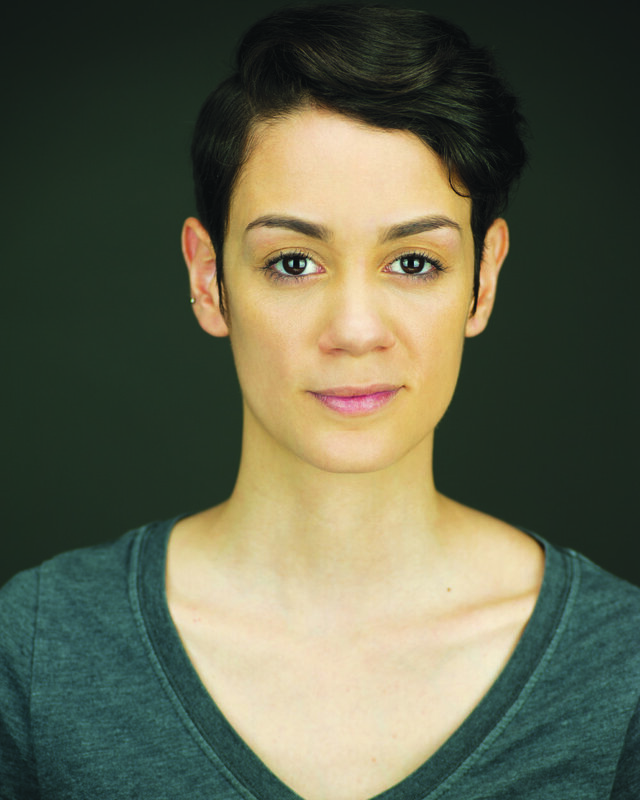 There will be a drama party at The Drake, for potty-trained kids aged 3 and up. To reserve, please contact Amber Emory at Creative Caretakers, via email. 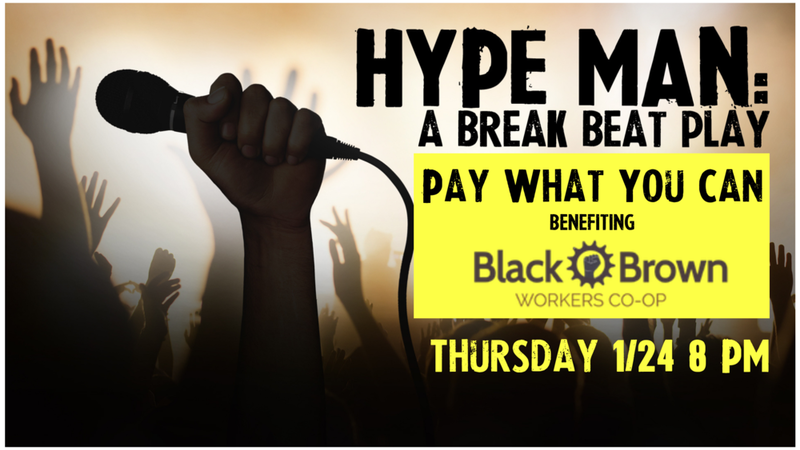 Be the first to see HYPE MAN, pay what you wish, and support a fantastic organization all at the same time! Cash only donations will be collected at the door beginning at 7pm. All door proceeds will go to benefit the Black & Brown Workers Cooperative. The Black and Brown Workers Cooperative’s mission is to actively challenge, resist and dismantle systems of oppression that adversely impact the Black and Brown worker. The Black and Brown Workers Cooperative (BBWC), a direct action social justice entity, has come together to combat injustices that manifest both in and out of the non-profit organizational structure and in the broader community of Philadelphia Pennsylvania. Their mission is to actively challenge, resist and dismantle, those colonialist, white supremacist and oppressive systems that impact our lives as Black and Brown workers. Join us Friday, February 1 for an "Action Happy Hour", benefiting local nonprofit Jr. Music Executive (JME). The bar will be open from 7 - 8pm, with the HYPE MAN performance immediately following. 50% of all concessions will be donated to JME, so stop by early, and support a great cause! The mission of Jr. Music Executive (JME) is to inspire high school and college students in urban environments to pursue higher education, set goals, and reach their full potential by exposing them to careers in the music business. JME provides skill development and opportunities for young aspiring creatives and executives ages 14 to 25. We work closely with parents, educators, youth advocates, and industry professionals to support students' dreams of being successful in the music industry.